Please note, this section is designed to give you basic product troubleshooting information, also refer to your user manual for more information. 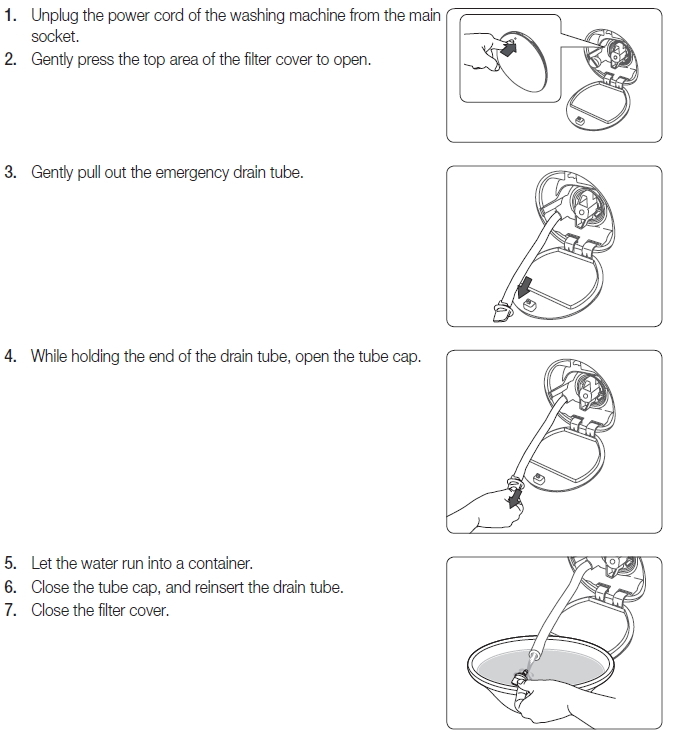 In case of a power failure, or a fault causing washing machine to stop working with washing and water still inside the drum, proceed with emergency drain as per instructions below before opening the door and taking out the laundry. How long is the warranty period on my Samsung washing machine and/or tumble dryer?